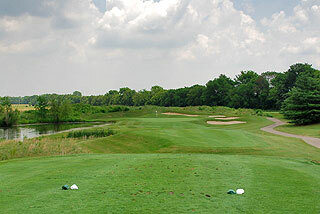 The Legends Golf Club offers 27-holes of championship golf along a mildly rolling terrain on a links style layout that was designed by architect Jim Fazio. 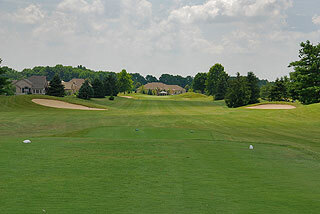 Rated 3 1/2 stars out of 5 by Golf Digest Places to Play and listed as high as 6th among public and private courses in Indiana, this facility is home to the Indiana Golf Association/Indiana PGA, which houses the Indiana Golf Academy and Indiana Golf Hall of Fame. 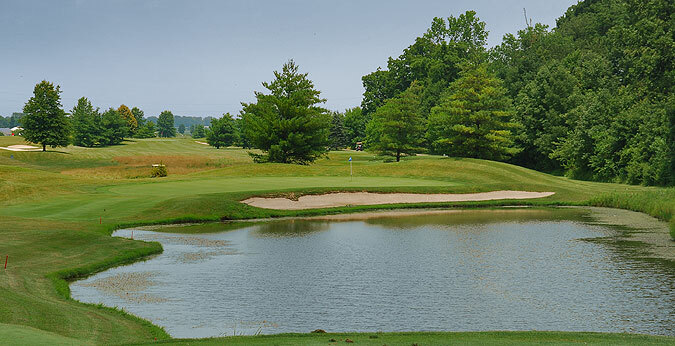 It has hosted the Indiana's men's and women's state amateur championships, the Indiana PGA Championship, four USGA Qualifiers as well as the IHSAA boys and girls state finals. Forty five holes of golf are on property at The Legends, including the 18-hole par three course, which provides a perfect quick round, and is ideal for folks just learning the game. 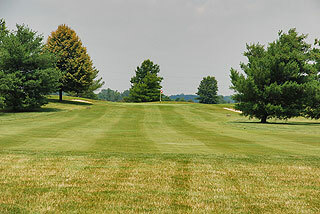 The three nines on the championship layout are diverse in design, with the "Middle Nine" providing the greatest challenge. As the photos above indicate, the green complexes on this course are noticeably raised, with slopes and collection areas that create the need for accurate approaches. The five sets of tees play to yardages measuring 3448, 3284, 3190, 3080 and 2566 yards. Water is visible on 7 of the 9 holes, but only comes into play prominently on six. The "Road Nine" is a bit more forgiving, with putting complexes that are less raised and with fairways that are less undulating. The challenge on this nine is in the form of distance, as the five sets of tees measure 3596, 3452, 3274, 3170 and 2678 yards. From the middle or black set, there are 4 par fours that measure 390 yards plus. Water comes into play prominently on 4 holes and bunkering is considerable, with 46 sand traps located along the fairways or geeenside. 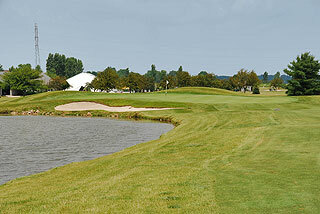 The "Creek Nine" has water in play on the perimeter of eight holes with 34 sand bunkers lining the layout. Like the Road Nine, there is only 1 forced carry. 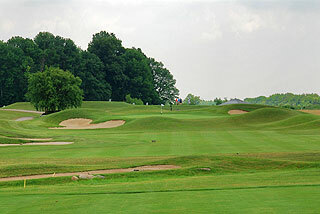 The Creek plays to yardages measuring 3581, 3359, 3186, 3054 and 2721 yards. On all three layouts, the course is well marked with visible 150-yard stakes and cart path markings on par fours and fives, sprinkler heads that are measured to the center of the green, and 100, 150 and 200 yard blocks posted on the fairways. The slopes from the three configurations at The Legends Golf Club range from 119 to 137, affording all levels of players and opportunity to choose a set of tees that matches their skill level. 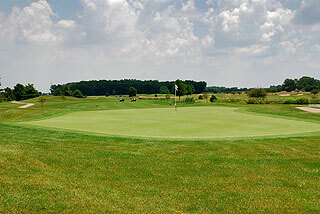 On property is a double-ended grass range, putting green and short game area with practice bunker. The clubhouse features a pro shop plus snack area serving hot and cold sandwiches. There are meeting and banquet/outing capabilities that can accommodate up to 300 people. 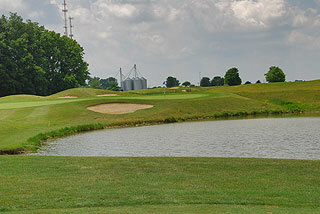 The Indiana Golf Academy is adjacent, and features programs to suit the needs of individuals and groups, with lessons and golf schools of great variety. 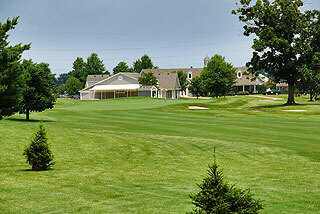 The Legends Golf Club is an all around great facility - with nice amenities and wonderful service. For more info, visit our page for The Legends, with direct link to their website by clicking here.